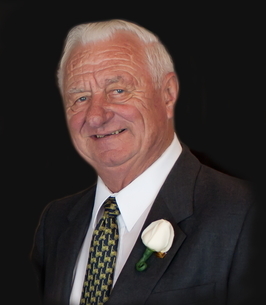 On November 10, 2018, George Litven of Edmonton passed away at the age of 86 years. George is survived by his loving wife of 64 years, Anne; children, Carol Sperling, Jean (Daryl) Laprade, Donald (Brenda), and Jim (Debbie); grandchildren, Jason (Shanda), Brad (Donna), Christopher (Melissa), Stephanie (Jonathan), Breanne (Stephen), Connor (Laura), Christopher, and Matthew; and six great-grandchildren; brother, Andrew (Faye); and sister, Mary (Don) Ferguson. Predeceased by parents, Steve and Olga; brother, Edward; sister, Mathilda Eliasson; and son-in-law, Wayne. Family and friends may pay their respects Thursday, November 15 from 9:00 a.m. until 9:45 a.m. with the Funeral Service following at 10:00 a.m. at Park Memorial Chapel, 9709 – 111 Avenue. Interment in St. Michael’s Cemetery. In lieu of other tributes, donations may be made directly to a charity of one’s choice. To the Litven family We were sorry to hear from friends that George had passed away. We both have good memories of George during our early days working at Canadian National. He always had a ready smile, a good sense of humour and was always willing to listen. He helped form who we were as young employees at the company. Please accept our sincere condolences. With deepest sympathy, our thoughts are with you.